Watson Benzie Chrysler near Traverse City, Michigan makes getting into a new Dodge vehicle a breeze thanks to our Dodge lease options. Whether you've never considered an auto lease or are ready to start, we're here to help. For most drivers, a Dodge lease means lower down payments and flexible payment plans based on your yearly mileage. Leasing also makes is easier to drive home to a brand new Dodge SUV, car, or van every few years. Swing by our Dodge dealership near Traverse City, MI to learn more about leasing a Dodge vehicle! 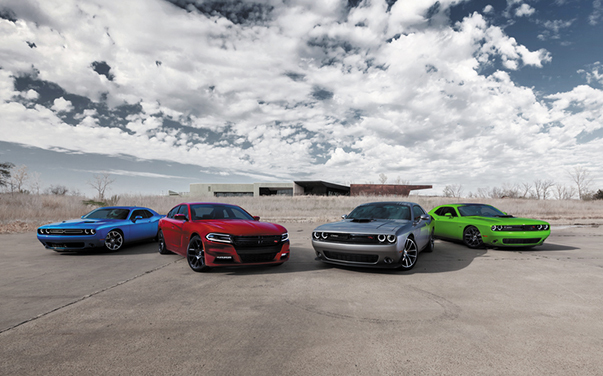 There's nothing like touring the Midwest in a new Dodge SUV, minivan or muscle car. At Watson Benzie Chrysler near Traverse City, MI you'll have the option to lease vehicles like the Dodge Grand Caravan, a fully-loaded minivan that'll change your trips to soccer practice for the better. The flashier Dodge Challenger will turn heads with its powerful HEMI engine and sleek design. Looking to take your vehicle off-road? Try out the rugged Dodge Durango SUV for superior capability. See our entire Dodge lineup today and schedule a test drive at Watson Benzie Chrysler. A Dodge lease can give you more flexibility in terms of payments, to drive home in a more expensive and newer model than a traditional auto loan. You won't build equity, but you will find more financial flexibility. Stop by Watson Benzie Chrysler near Traverse City, MI today to meet with our finance team and see if a Dodge lease is right for you.